Thunder Moon has been out for nearly a week now and I've been gathering feedback from anyone and anywhere I could find it. Some players were kind enough to send me information directly, and others even went so far as to make "Live Plays" (LP) and reviews of the game. 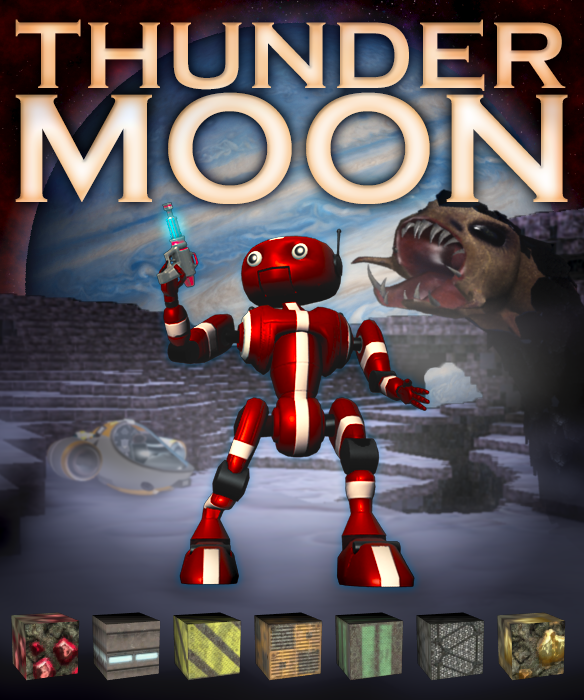 It's been a crazy week keeping up with all this and I would like to thanks everyone, especially the players, for helping Thunder Moon get a good start in the marketplace and for giving me information I need to make the game better. Along with all the info-gathering this past week, I've also been working on code & testing changes to address the various problems and feedback that has come to my attention since the game launched. A few minutes ago I posted a playtest build for Thunder Moon onto the XBLIG service with all the changes I expect to go into the first update to the game, which should be tomorrow. Hopefully some of my XBLIG developer peers will have a chance to check it out and let me know how it goes for them. * Random NPCs generally no longer spawn during the day. * Random NPCs no longer spawn above a certain elevation. * Thunder now plays at sunset, indicating random spawns will be happening more often. * Spawn rates of random encounters tweaked. They ramp up during the night. Generally don't happen during the day. * Fewer random NPCs will spawn at the same time during early stages of Story mode. Hopefully the ramp-up will be easier for people. * Music should not be cut off prematurely any more. * Activation of stacked items no longer leaves the item activated, it consumes stack item as intended. Turrets, for instance, should be more usable now. * Timewarp effect is disabled when exiting game; previously players could return to the main menu with time slowed down & effects still visible. * Timed Items that are activated in the inventory do not actually use up their timer until the game is continued. For instance, the time dilation crystal. * Player teleport is now disabled during cutscenes. * Player items are deactivated during cutscenes, fixing problem when entering certain cutscenes with jetpacks or other items active. * Players should not be able to re-enter the crashed lander during the early part of the game any more. * Lander weapon collision size 1.5x larger, hits NPCs more easily now. * The "Feedback" page converted to "Our Games" with boxart for my other games. * There was a user who cancelled the message+credits shown at the conclusion of Chapter 1 and thought the game was stuck in the finale cinematic, so I made the message+credits reappear after a few seconds. * The default blueprint filter now shows all blueprints. I saw some LPs where players didn't realize there were more than a few items available. * Battery no longer stacks, it is a durable item with +2 energy/tick. I played the demo and was very impressed by a "minecraft" kind of game with a story, i then purchased the full version and was dissapointed to find that the NPCs spawn reguarly enough to make exploration and mining difficult in story mode (not impossible though). Would it be possible perhaps to include an option that allows players to adjust the spawn rate in a future update? Whilst I note that you added this in the last update * Fewer random NPCs will spawn at the same time during early stages of Story mode. Hopefully the ramp-up will be easier for people. During the first drop-pod series of missions I found myself facing 3 flyers and several crabs (not sure how many because I died very quickly). Hi, thanks for checking out the game. I would like to add a difficulty setting to allow people who want to play the game with a little less to fight to be able to do that. For the time being, maybe it will help to know the bugs don't generally spawn during the daytime except for the mission triggers. Tuning a game so it is challenging enough to feel like finishing it is an accomplishment without making it so difficult that it's too hard for people is pretty much impossible to do since everyone has different skills and tolerance for frustration. Difficulty settings help a lot with this, so I'll need to add this to the game. Thanks for the post and hopefully a future update will make this game more fun for you. Well, thanks for the post and your interest in the game! As a dev my biggest fear is people won't even care enough about the game to bother playing it, so when players take the time to tell me what they think about it I see it as a great thing to have happen. There are so many great games out there I always feel lucky to earn any attention I can get. When deciding between a crafting progression like you see in RPGs versus just listing them all out there like TM does today, I wound up going with just giving access to all of them mainly because I wanted to keep the game more item-based instead of RPG stat grinding. I think I'd like new recipes to be made available through the creation of new items/containers which would each have their own list of craftable items. Getting access to these containers could be described as the RPG progression since it would take time to make or reach them. The system actually does have the ability to disable certain blueprints based on discovery, it's not being used right now though. It was just one of those things the system was designed to support but I didn't have the design time to use it effectively enough to bother using it at all. At this point, with a bit of reflection on the whole thing, I think the crafting system didn't turn out as well as I had hoped and I hope to rework it substantially at some point in the future. The antenna mission is where the crafting part of the game really comes into play. I deliberately gave you some of the parts to make it clear what is required, and the rest you will need to craft. There is no way to mess that up, really, since if you happen to use something up you are able to collect all the raw materials necessary to create the repair parts. Figuring out the build tree necessary to get to the end result is part of the challenge. Struggling with an inventory just barely big enough to hold everything you need is another challenge, which is not something I planned to be honest and I hope to correct it soon. Have fun and please don't forget to 5-star the game if you think it's worth it, and check out the facebook page for more frequent informal updates. Will do, liked the game on my FB account too. And I appreciate that there is a challenge there, inventory management does add to the struggle....cannot recall if I saw that containers can be made to help with that? Thanks! There are not yet any containers in Thunder Moon, but I have been planning to add something in the near future. It's been a highly requested feature. Maybe include it in the hoverbike, or have another transport vehicle that has a container but no weapon? By the way is the hoverbike weapon intentionally weak? All vehicles actually have an inventory right now - there just isn't a UI for it! We already have a storage container model ready to go, however, and that will be the first one to get proper support. The hover bike weapon is intentionally weak. The plan has always been for vehicles to have upgradable weapons, I just haven't gotten there yet. That's great, nice to know these things are already in the background, I have to admit I was little confused when I first started crafting as I thought the +1 against the laser pistol was an upgrade indication and not "make 1 extra"....I was filling my inventory with spare pistols! Woops! As you know by now, this UI has to communicate a lot of info to you. I've learned a lot doing this UI and I hope to have a chance to improve it as I move forward. It shouldn't require a tutorial to understand the UI, it should just be obvious. Your comment gives me something else to consider when I do eventually get around to reworking this part of the game. Thanks for the post and I hope you keep having fun! Thunder Moon - Multiplayer First Steps! Indies on XBoxOne : The questions remain. 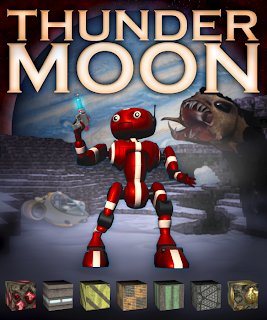 #ThunderMoon update now in #XBLIG Peer Review! Thunder Moon - Available now! Thunder Moon passed peer review!